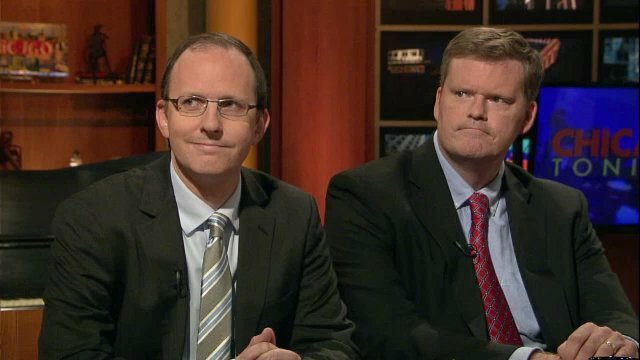 Chicago Tribune reporters John Chase and Jeff Coen are on-record claiming to have had access to all the Blagojevich wiretap tape recordings that were never made public. The U.S Attorneys Office has gone on-record claiming that they did not give Chase or Coen access to the Blagojevich wiretap tapes and transcripts. (1.) The Blagojevich wiretap tapes and transcripts are sealed by a federal protective order signed by Judge James Zagel. The only way to legally obtain them is from the feds. (2.) Chase and Coen claim to have had accessed the recordings and have offered up a sample of taped conversations that were never made public as proof of possession. (3.) The U.S. Attorney's Office insists that no one there provided the tapes or transcripts to anyone, including Chase and Coen. Doesn't that mean Chase and Coen have confessed to being involved in the act of breaking a federal protective order signed by Judge Zagel? Keep in mind that this isn't the first time Chase has received information as a result of someone acting above federal law. The existence of the federal wiretap made its way to Chase after someone in the Department of Justice broke the law and leaked it to him. Why did U.S Attorney Patrick Fitzgerald enforce federal law when it involved New York Times reporter Judith Miller, but chose not to enforce federal law when it involved Chicago Tribune reporter John Chase? Do the Chicago Tribune editors and reporters act with impunity outside of federal law? And, hey, why are the Chicago and national media ignoring this story? Does Judith Miller have any thoughts on the subject? We'll ask her. Chicago Daily Observer » Blog Archive » Just How Did those “Sealed” Blagojevich Tapes Get to the Tribune Reporters?